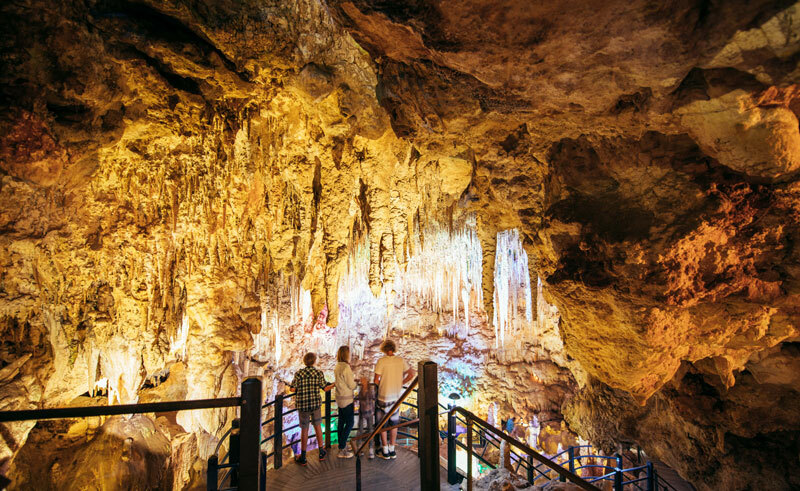 Experience the remarkable Ngilgi Cave located in the Geographe Bay region of Margaret River. Learn about the history of the cave and the thousand year old stalactite, stalagmite and helicitite formations that can be seen here. 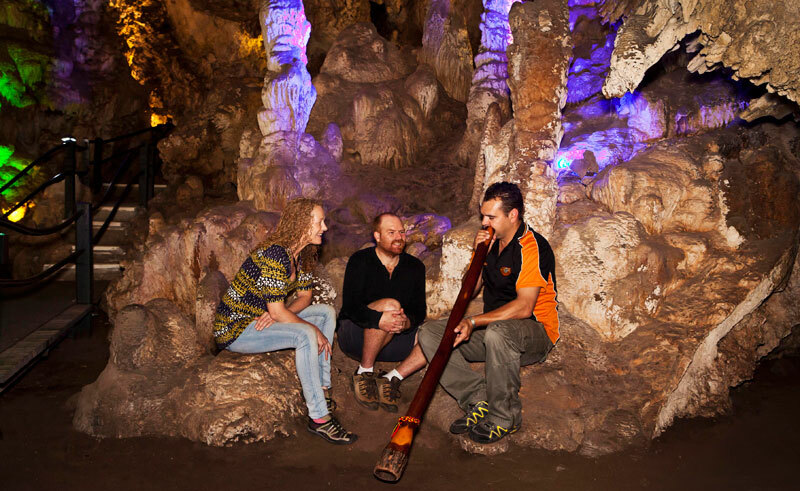 Your aboriginal guide will enchant you with a remarkable didgeridoo performance from deep within the cave before allowing you to explore at your own leisure. Back up on ground level, you will learn about traditional Aboriginal life including how to build a shelter, the tools used for hunting and survival as well as the musical instruments that are such a major part of everyday Aboriginal life.